In a cancer as aggressive as pancreatic cancer, the roots of malignancy presumably run deep. Yet these roots are hard to trace. 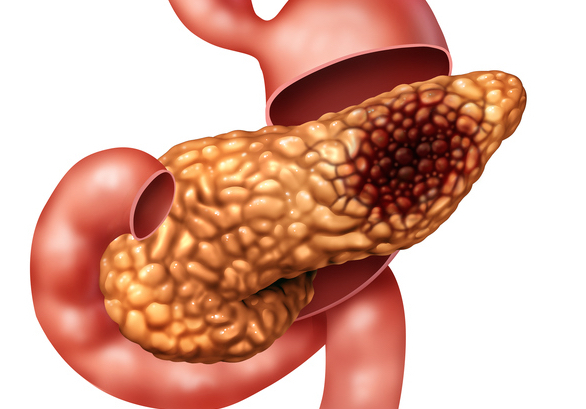 Nonetheless, persistent digging by scientists based at the Technical University of Munich (TUM) has uncovered mutational events that occur early in pancreatic cancer and explain how it eventually comes to grow and spread so quickly. The TUM team, led by Prof. Dr. Roland Rad and Prof. Dr. Dieter Saur, identified specific gene amplifications that occur along various evolutionary pathways of pancreatic cancer. Essentially, certain genes are not only mutated, but also copied, driving both early tumorigenesis and metastasis of pancreatic ductal adenocarcinoma (PDAC). “Mouse models allow us to closely observe and experimentally review the extraordinarily complex processes of cancer development at the molecular level: from healthy cells to cancer precursors through to aggressive tumors and their spread to other organs,” Prof. Saur explained. After inducing a KRAS mutation, the researchers also observed other mutations in what are known as tumor suppressor genes. In healthy cells, such protective genes prevent cancer from developing. Yet when such genes are mutated, the TUM researchers found, the mutated KRAS gene or other cancer genes may be amplified. Which genes are amplified appears to depend on which tumor suppressor genes are affected and to what degree their functions are impaired. Only after the cell's inbuilt protective mechanisms have been switched off and dosage amplification occurs does a tumor ultimately form. Which pathway the cell follows and which genes are involved then largely determine the characteristics of a pancreatic tumor. For the first time, the dosage amplification model could allow to identification of genetic patterns that explain a tumor's aggressiveness and metastasis.